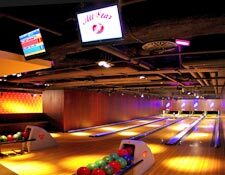 After establishing the concept for an upmarket bowling alley, diner and bar at Bloomsbury's Victoria House in January 2006, All Star Lanes' directors Mark von Westenholz and Adam and Charles Breeden this month opened their second site at Whiteleys Shopping Centre in Bayswater. 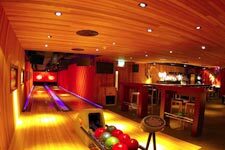 All Star Lanes has revolutionised the bowling industry in Britain, and the larger, more luxurious Bayswater site has seen the concept evolve into a flexible space, with eight bowling lanes (including two in a private room), a large sophisticated diner /bistro and glamorous American cocktail bar. 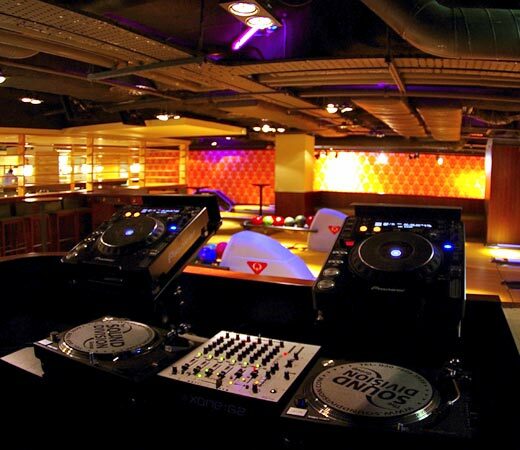 To develop the sophisticated switching and routing of audio and video sources, the owners again turned to the Sound Division Group — who first worked with the Breeden Brothers on their award-winning Lonsdale Bar in Notting Hill. Technology has moved on apace since then, and the new bar would not only require iPod docking stations — but David Graham's company had to make a generous provision of insert points that on the one hand would accommodate party guests in the private room, wanting to plug in a PlayStation, to those interested in corporate hire, needing to fire up a PowerPoint display for delegates. The functionality also had to apply equally to daytime and night-time use. SDG opted for a Harman Pro solution (with JBL loudspeakers and Crown amplification), assembling a crack site team — with the reliable Jon Carey project managing (and designing the cabling infrastructure), the experienced Martin Barbour programming the BSS Soundweb London digital control and Elliot Patterson leading SDG's install team. Elegantly decorated by Dan Evans, the venue layout divides itself naturally into four main zones: the Lounge/Diner, Bar/Cocktail Bar, Main Lanes and the two-lane Private Room which can accommodate 80 guests in an overall capacity of 300. However, in total 14 inputs have been split between the two main areas (Public Bowling Alley/Restaurant and Private Bowling Alley/Bar), designed around the flexible BSS Audio BLU-80 processor (configured for 16 outputs) and BLU-32 expander unit (configured for 16 inputs), backed up by wall-mounted access points. The specification of Kramer 8 x 8 video matrix switching dictated that the audio control architecture be upgraded from the earlier generation of Soundweb devices used in Bloomsbsury to the more sophisticated and versatile Soundweb London DSP. The real challenge for Martin Barbour was in making the system easy to use in the knowledge that there would be no dedicated PC — and so he turned to BSS's new BLU-8 wall-mounted controller. Capable of controlling a single zone, four zones or eight zones in different modes of operation its simple control surface and informative visual feedback ensure that non-technical users can confidently make changes to an integrated AV system — precisely what this installation required. BLU-8's are stationed in the Main Bar and Private Bar, dedicated to those areas and configured such that the 8-way rotary encoder allowed for the audio source to be selected and the four buttons would provide video source select to the plasma and aux video output points. This provides the bar managers with complete audio and video control from a single, intuitive wall panel. The remaining BLU-8, positioned in an area between the restaurant and main lanes, was configured to allow zone selection via the push buttons and source via the rotary encoder. A simplified BLU-3 source select panel sits at reception. "This enabled us to mould the operation to suit the venue in an incredibly user friendly manner," says Barbour. "While the arrival of the BLU-8 was the main reason for specifying Soundweb London in this system, at the same time the system's simple external serial control allowed us to integrate seamlessly with the video switching system." Jon Carey's carefully-worked cabling infrastructure, using two-core speaker cable, CAT5 to the control and RG59 and VGA for the video signal transport, guaranteed infinite flexibility and ensured that the appliances hooked on the end could be changed or respecified right up to the last minute. Onto this cabling backbone Sound Division Group specified JBL Control 25AV's in Reception, Diner, corridors and peripheral areras, Control 29AV's in the Private and Main Bowling Alley Bar and Cocktail Bar area. AL6115 1 x 15in subs and an AL6125 (twin 15in sub) are also installed in the main bowl, and the entire system is powered by a combination of Crown XTi and XLS amplification. There is a comprehensive choice of playback devices, ranging from Hard Disk delivery and Pioneer 6-disc multiplay CD to an industry-specification booth for the weekend DJ's, with Technics SL1210 Mk5 turntables, Pioneer CDJ-1000 Mk3 CD/turntables, Allen & Heath ZONE:62 mixer, Shure SM58 handheld mics and JBL Eon 10 DJ monitor. There is also a feed from satellite TV. 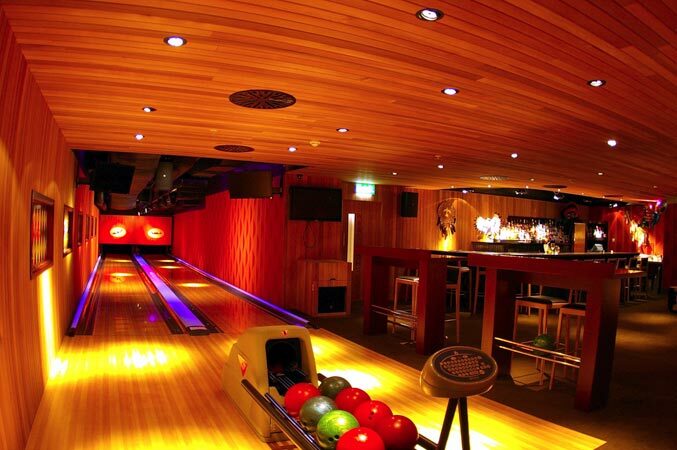 Video playback sources (from computer and Denon DVD players) are sent to a Panasonic 42in plasma screen in the Private Bowling Alley, while a centrally-placed LG 32in LCD screen receives feeds in the main cocktail bar. In this location provision has been made for VJ and DJ inputs, and for private clients to bring in their own devices and appliances. Summarised Sound Division Group MD, David Graham, "We have built up the relationship with the owners over a long period and they can now see what works and what doesn't, as their corporate business for this 'boutique bowl' expands. "The requirement for iPod docking stations makes perfect sense, while the provision of the BLU-8 programable zone controller, has given them much more system management flexibility and an intuitive interface. 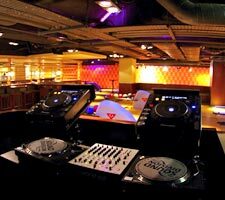 "To give the venue complete maximisation — and plenty of heardroom for future expansion — we have also put in plug-in points for two extra plasma screens in the bar as well as extra DJ plug-in points. This will enable them to show major sporting events as necessary and bring in party DJ's." Working with a tried and trusted project team ensured that this was an enjoyable project to have participated in, he emphasised. "It enabled us to deliver a highly-creative package, on time and on budget."